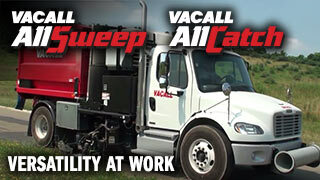 Get an insider's view of Vacall equipment; their history and current manufacturing capabilities. Featuring Gradall Industries' state-of-the-art manufacturing plant and the people behind the machines. 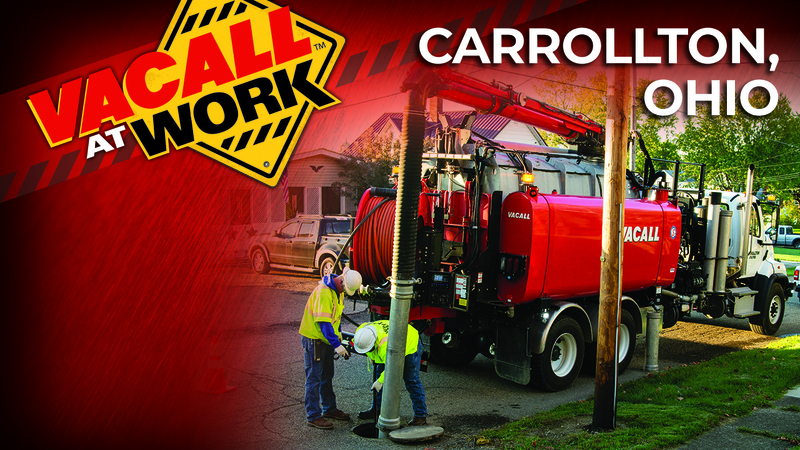 The village of Carrollton, Ohio, works with a tight budget and looks for equipment that can meet a variety of needs. 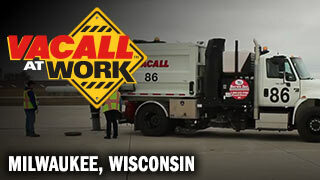 After evaluating its options, the village replaced its trailer jetter with an AllJetVac R Series combination sewer cleaner with Hydro-Excavation option to handle multiple jobs. 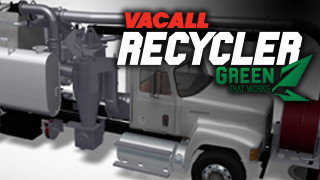 The Vacall Recycler continuous water recycling system is a "Green The Works" option enabling AllJetVac machines to clean sewer pipes all day, without using a drop of city water. 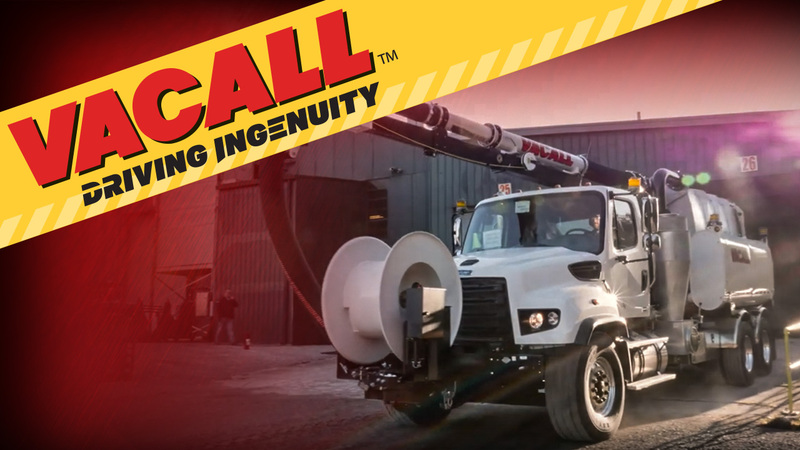 Versatile machine clears runways and other road and walkways, as well as picking up litter and leaves and cleaning out sediment pits. Combination machine used by city to clear away debris, keep streets clean year-round, pick up leaves from curb strips, and clear catch basins. 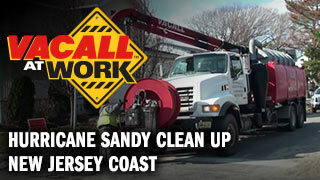 Vacall sewer cleaners and industrial vacuum trucks help restore vital services, and reopen storm drains and sanitary sewer systems following Hurricane Sandy. 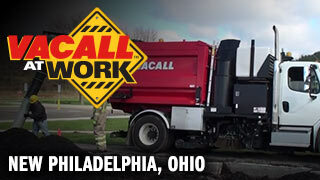 AllJetVac with Recycler option allows City of New Philadelphia to clean hundreds of feet of sewer line without ever hooking up to a water source and with no loss of jetting power, saving time and taxpayer dollars. 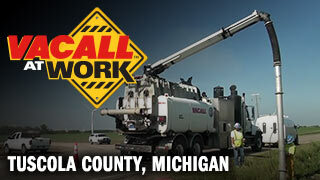 A massive wind farm project relies on Vacall Hydro Excavator for critical underground utility line location. 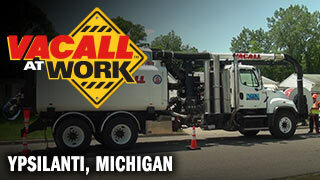 Ypsilanti Community Utilities Authority maintains 263 miles of sewer lines putting AllJetVac machines to the test almost daily. 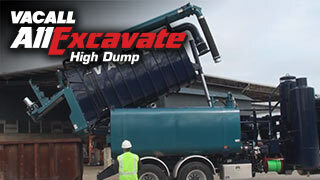 Operator repositions debris tank, enabling the AllExcavate to dump material into roll-off or other containers on the job site. 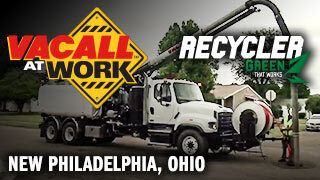 No more driving to off-site dumping locations. 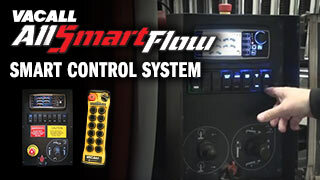 AllSmartFlow intelligent CAN bus control system is standard on all Vacall jetting machines, allowing you to monitor and control water flow to work productively, avoid waste and eliminate unnecessary refill trips. 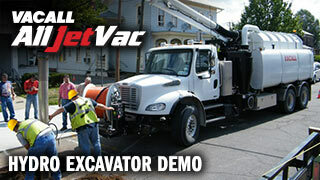 AllJetVac combination sewer cleaner/hydro-excavator locates leaks and makes repairs in a fraction of the time required by the old methods.